CRM Charles Otis Gough, son of Mr. and Mrs. S. E. Gough, Graham, husband of Mary Frances Bradford, graduate of Graham High. Attended Chillicothe Bus. College. 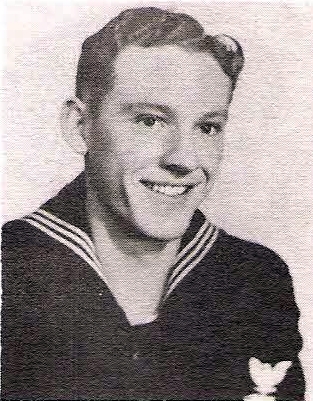 Entered Navy, 1940, trained in San Diego. Served in Pearl harbor, Panama, Cuba, Newfoundland, Iceland and S. Pacific. Awarded Amer. Def., Amer. Theater, European, African, APO, 2 Stars, GC Medal and Victory Medal. Discharged, 1946.